Below you’re find five healthy fish recipes by food blogger Gayle Van Wely: Black Bass with Bacon Dashi, Salmon Poke, Bacon-Wrapped Scallop with a Bloody Mary, Smoked Paprika Shrimp on Dashi Cous Cous, and Steamed PEI mussels with wine, shallots, and garlic in egg cream sauce, myoga ginger and scallion. It’s an age-old dilemma: serve your valentine a dish as rich as romance, or something to avoid feeling stuffed after dinner? 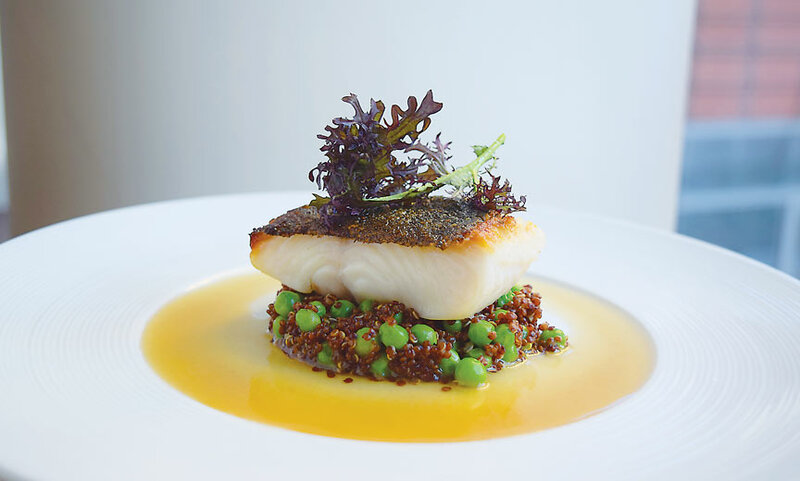 Find balance in this Black Bass with Bacon Dashi, which takes the alluring, smokey flavor of bacon and actually makes it light and healthy. Dashi is a seaweed broth rich in minerals with as much Vitamin C as orange juice. Black cod is a terrific source of protein and healthy fats. Find those recipes below. In a saucepan, bring the water to 140° and add the kombu and ginger. After steeping for 30 minutes, discard the kombu (or reserve for another use like a seaweed salad). Add the bacon, keeping the temperature similarly low for another 30 minutes. Discard the bacon and ginger. Next, season the dashi with mirin, sake and/or soy sauce. Pour the sauce into a shallow sauce pan and keep warm until you are ready to use it to poach the fish. Season the skin side only with sea salt and pepper from well above. Smack corn starch on the skin only. Heat olive oil in a pan on medium high. Sear the skin side only until golden brown (about 2-3 minutes); you should see the sides of the flesh start to turn whiter. Gently flip the fillets into a shallow sauce pan with the bacon dashi broth. Be careful to only submerge the fillets one quarter of the way up their sides. Finish steeping and poaching for approximately another 3 minutes, depending on the thickness of the fish. One of my favorite colorful summertime dishes to serve at any special gathering is poke. 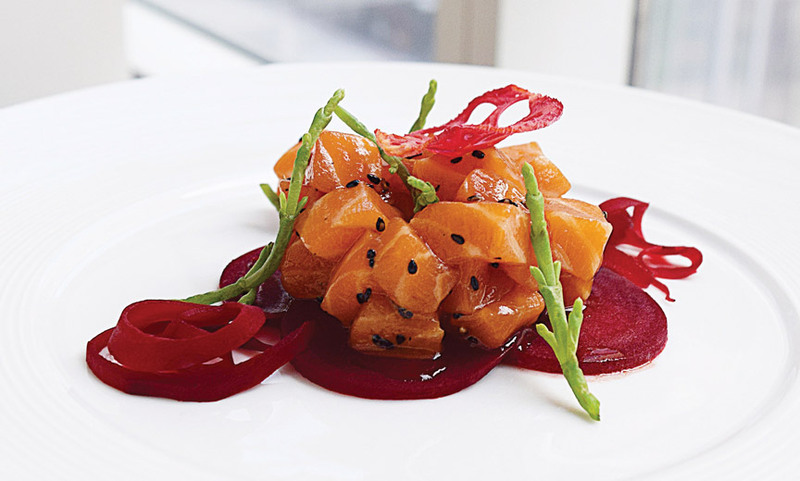 This poke is packed with super rich, all the good for you fat from the king salmon and folate iron from the red beets. Pickled beets also contain high amounts of potassium, phosphorus, magnesium, and vitamins A, B, and C, among others. The acidic sweetness from the beets and the brininess from the seabeans bring the luscious rich salmon to a balanced unami bite. In a medium sized bowl, combine soy sauce, oils, rice wine vinegar, mirin, ginger, garlic and add salmon. Toss gently with 1/4 cup of the marinade. Sprinkle with sesame seeds, refrigerate for 30 minutes or serve immediately. Place beets in a large pot, and cover with cold water by 2 inches. Bring to a boil over high heat; add 1 tsp sea salt. Reduce heat slightly to maintain a rolling boil. Cook until tender, about 30 minutes. Drain, and let cool slightly. Trim stem ends, then peel beets using a paring knife or a vegetable peeler. Using a mandoline, cut beets 1/4-inch-thick slices for medallions. Using a carrot peeler to make ribbons as well. Whisk together vinegar, sea salt to taste, and the pepper in a small bowl. Add oil in a slow, steady stream, whisking until emulsified. Pour vinaigrette over beets. Before you begin making the poke, put the raw salmon in the freezer for about 30 minutes to partially freeze it. You want the salmon to be firm, but still soft enough to slice. The firmer texture allows for more sharply defined cuts. Looking for shrimp recipes with international flair? Consider this Smoked Paprika Shrimp on Dashi Cous Cous. It’s a culinary excursion with stops in North Africa, Asia and Latin America — starting with cous cous from the mountains of Tunisia cooked in a unique umami flavored broth of dashi made from kombu seaweed and bonito flakes that points to the Far East. 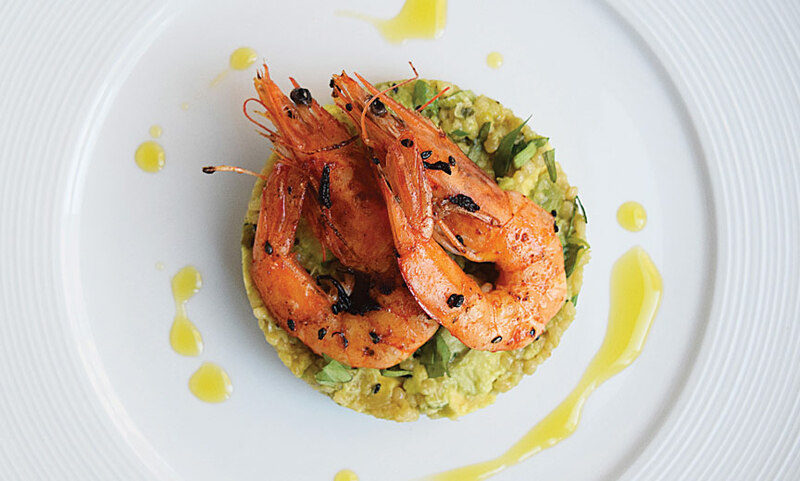 Mix in the soft, Latin American flavor of avocado and top with Gulf head shrimp coated with smoked paprika (which accents the smoky flavor from the dashi). This healthy, satisfying dish is with good source of protein, and rich in fiber and B vitamins. Avocado contains more potassium than bananas and loaded with heart-healthy monounsaturated fatty acid. Serves 4. Add chopped shallots, stir and allow to cook until soft. Stir in crushed garlic. Add dashi broth, stir and bring to boil. Simmer five minutes. Remove from heat, cover and allow to stand for five minutes or until cooked. Preheat sauté pan over medium heat. In a small bowl, crush the garlic with the salt. Mix in ground black pepper and paprika. Stir in olive oil and lemon juice to form a paste. In a large bowl, toss shrimp with this paste and add sesame seeds until evenly coated. Lightly oil pan. Cook shrimp for two to three minutes per side or until opaque. Transfer to a serving dish, garnish with lemon wedges. If you’re cooking for your special somebody this valentine’s day, here’s something in romantic red that will make them come running but won’t weigh them down. I’m not one to use bacon much (as it’s not known for its health benefits), but there’s no denying that there’s something special about the smoky flavor and the alluring scent when its cooking. Par-cooking the bacon in the microwave between paper towels ensures its fat is rendered evenly and that much of it ends up absorbed by the paper. Here, I’ve paired it with sumptuous scallops, which — in addition to their delectable taste — offer a variety of nutrients that can promote cardiovascular health plus provide protection against colon cancer. They’re also a good source of B12, magnesium and potassium. Meanwhile, the Bloody Mary sauce features vitamin-rich tomatoes, garlic and horseradish with a bit of a vodka kick that you can take or leave, depending on your lover’s taste. Prepare the bacon. Layer uncooked bacon on a plate with paper towels lining the plate and in between the layers of bacon. Cook in the microwave one minute to “pre cook” the bacon and remove some of the fat. Your bacon will be slightly cooked but not crunchy, and should wrap easily. Wrap the scallops, secure with tooth pick and cut off extra bacon. Chop up all the leftover pieces of bacon and set aside. In a large skillet. heat one tablespoon olive oil and one tablespoon butter. Place bacon-wrapped scallops in a hot pan and sear two to three minutes on each side, being careful to not overcrowd the pan. Pick several smaller leaves from the basil and set them aside. Crush the remaining basil, stems and all, into a large bowl. Halve or quarter the tomatoes and add to the basil — along with the horseradish, celery, garlic, vinegar, vodka, beet and sea salt/ground black pepper. Let marinate for at least six hours or overnight. Preferably with a stick blender, puree the marinated vegetables (though a regular blender or a food processor will also do). Taste and add more seasoning as necessary. Pass this mixture through a course strainer or cheesecloth until smooth. Do not let it touch the garnish until just before serving or the garnish will wilt. 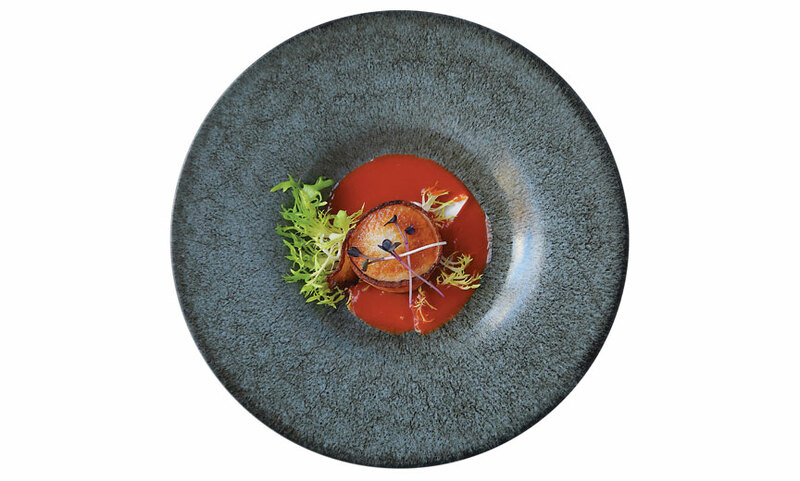 In a shallow bowl, place one scallop on a couple of frisée leaves and gently pour the Bloody Mary sauce around at the bottom of the scallop — preferably until it reaches about one quarter of the way up the scallop. Add a couple of celery leaves and give a squirt of fresh-squeezed lemon. Makes eight appetizer-sized portions. Garnish with Frisée lettuce and Celery leaves. During this festive time of year, crafting menus for holiday gatherings comes to mind. And there are few holiday meals as familiar as the Italian “Feast of Seven Fishes.” Ironically, structuring the meal around seafood comes from a Catholic tradition of abstaining from meat until the feast of Christmas Day. But if you’re lucky enough to be invited to an Italian home on Christmas Eve, you’re likely to encounter a meal that feels delightfully abundant — with a wide variety of the ocean’s greatest treasures cooked to perfection. Whether you’re looking to add to your Christmas Eve line-up or are simply in the market for a healthy-yet-celebratory seafood dish, you’ll find that mussels are a fan favorite. I started making a variation on this dish I found years ago in an old French Country cookbook, but over the years I have finessed it. It’s satisfying, succulent and briney, yet delectably mellowed by egg and cream. The health angle of the preparation is the nutritional value of the mussels. PEI Mussels are a good source of vitamin C, which is rare among protein sources and they provide other antioxidants, as well. In addition, a serving of PEI Mussels also provides an impressive 18 grams of protein. 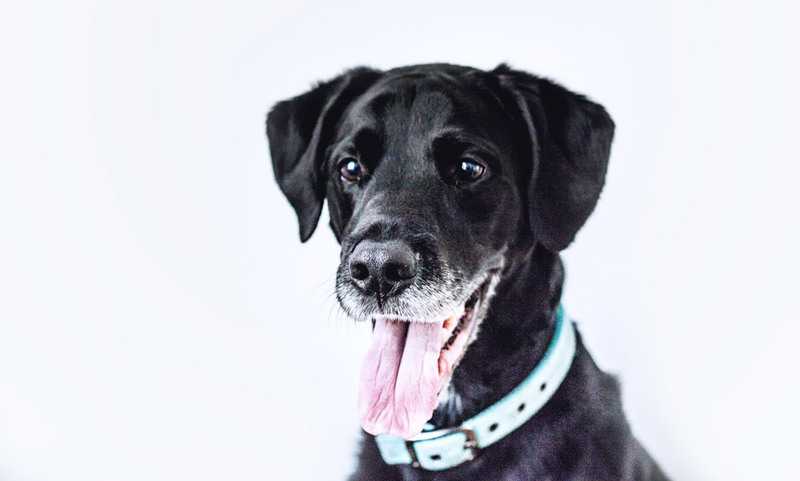 They’re also high in vitamin B12 and are an excellent source of iron, an important factor in red blood cell formation. And for the eco-concerned, mussels are a type of shellfish which can be farmed in environmentally sound ways. Healthy holidays! In a large sauce pan over medium heat, cook the shallots in the olive oil stirring occasionally for three minutes. Add the garlic and cook another minute (but be sure not to burn it). Add the mussels, wine and sprigs of thyme, then cover the pan. Steam the mussels, shaking the pan occasionally for five to seven minutes or until the shells have opened. Discard any unopened shells. With a slotted spoon, transfer the mussels to a bowl and keep warm. Strain the broth through a sieve into a medium saucepan. Over medium-high heat, reduce the strained cooking liquid to one cup. While sauce is reducing, remove the mussels from the shells. In a separate bowl, whisk together the heavy cream and egg yolks. Reduce the heat under the saucepan to low. Add the cream mixture to the cooking liquid and whisk until thickened slightly. Add lemon juice and pepper to taste. Arrange about a quarter of the mussels in a circle in the serving vessels before pouring the egg cream sauce in the center. 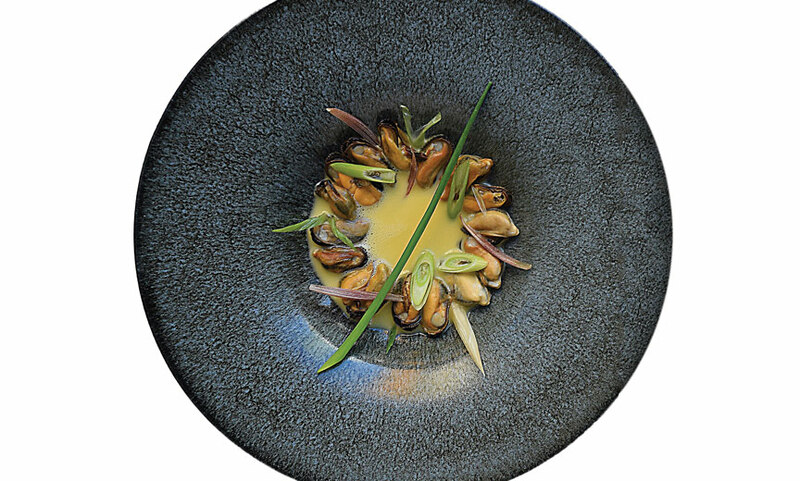 Then, garnish the mussels with slivers of scallion and myoga ginger and serve. Recipe serves three to four. 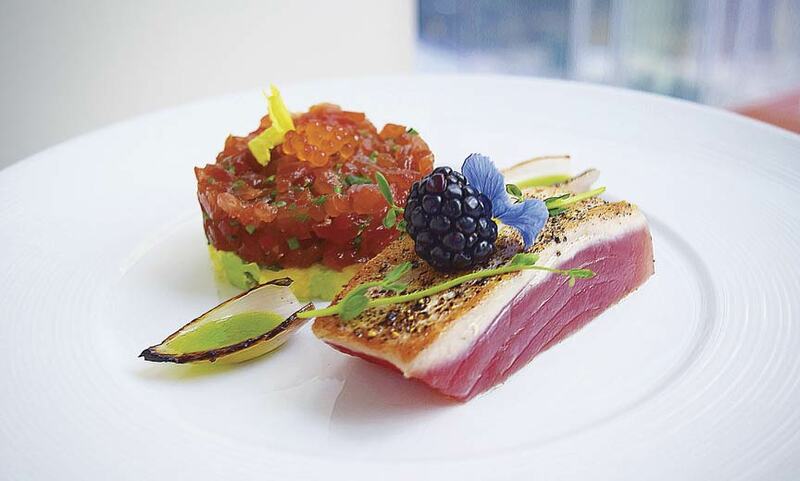 What could be more inviting than a beautifully prepared wedge of tuna? Try two takes on this delicious fish — pairing a raw Hawaiian preparation (poke) with a classic: seared tuna steak. On the health front, tuna offers high levels of both protein and great-for-you selenium. Tuna is also rich in omega-3 fatty acids, which lowers heart disease risk by fighting bad cholesterol, can help curb joint pain, aids in combatting depression, and may even help prevent alzheimer’s disease and dementia. Try out the tuna recipes here (which serves four). Add tuna, chives/scallions, sesame seeds, soy sauce, sesame oil, and crushed red shishito dried pepper (optional) to bowl; fold gently to combine. Taste and adjust with more soy sauce, sesame oil, or red pepper as desired. Let sit five minutes at room temperature. Rub with olive oil and entirely coat one side of each tuna steak with cracked pepper and sprinkle lightly with sea salt. Heat oil in heavy medium skillet over medium-high heat. Add tuna to skillet and sear to desired doneness — about two minutes on only one side — leaving the other side rare. Finish with a squeeze of fresh lemon. Set aside and tent with foil to keep warm until plating. Cover the bottom of the ring mold with two Tbsp. of avocado; then fill the mold with poke until it’s at least two inches high. Spoon trout roe in center (optional). Place seared tuna next to the poke, seared side up. Top with a blackberry and sprigs of peashoots. Ready to take that tuna to the next level? Try adding this tongue-tingling spiced herb oil, which makes about 1 and 1/4 cups. Combine all ingredients except water in a food processor. Puree until almost smooth. Place in a fine strainer. Press on solids to extract liquide, and discard leftover solids. Now, whisk 1/4 cup water into mixture with strained liquid in bowl and season to taste. If you want to get a jump on your prep, you can make this oil a day ahead, but cover and refrigerate it after mixing and give it a good whisk before serving.